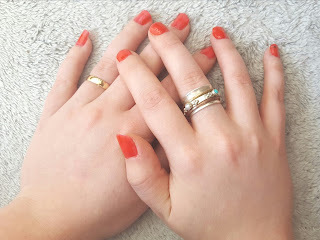 I'm not the type of person who wears lots of jewellery or has a big collection. So when I do buy jewellery, it's usually something quite unique. I've been given the opportunity to review a gorgeous ring from Charlotte's Web. Charlotte's Web, founded by Charlotte Howarth is a bespoke jewellery collection like no other. Charlotte's signature collection includes spinning jewellery such as spinning rings, to bracelets and pendants. 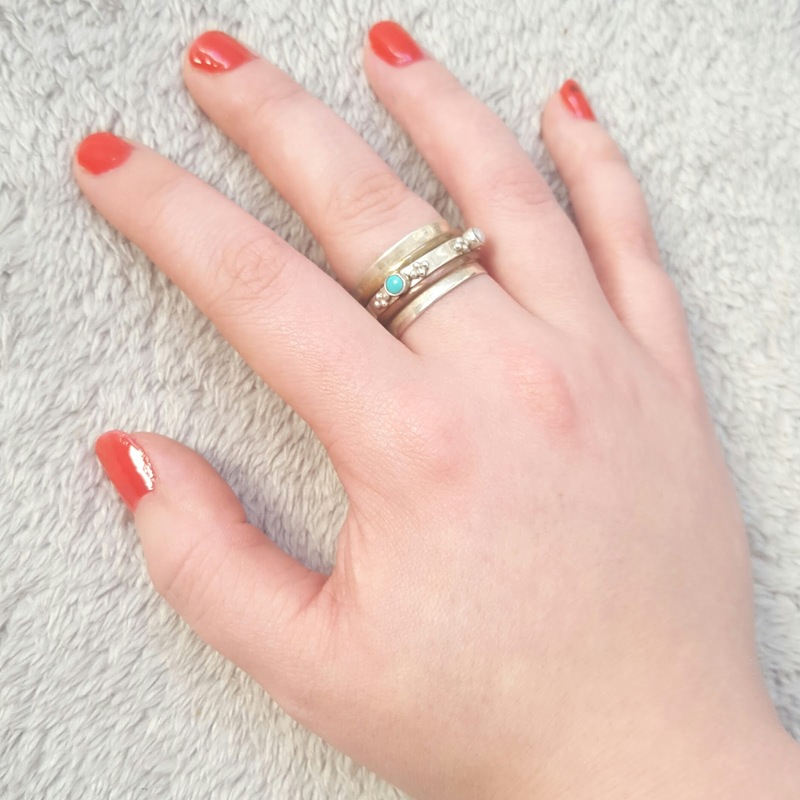 I am the proud new wearer of the Rajput Precious Stone spinning ring and it is absolutely gorgeous. 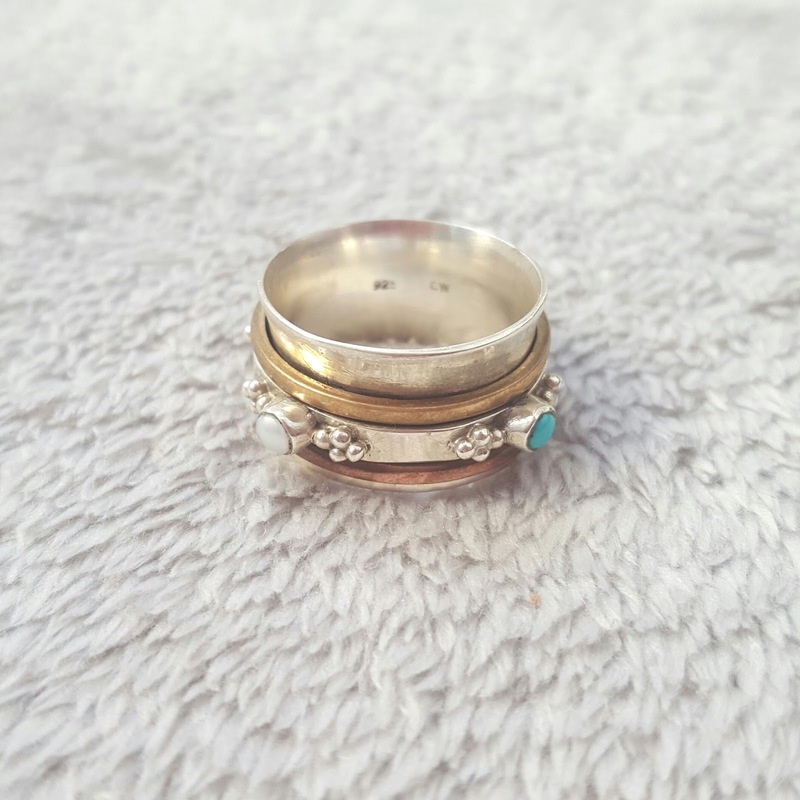 This stunning ring consists of "Turquoise and Pearl mixed metal spinner ring featuring two rings of copper and brass and one central silver ring adorned with delicate gemstones, which revolve gently around chunky polished bands of solid silver." I chose this Charlotte's Web ring as i loved the copper and brass rings in the middle of the rings. I have had so many lovely compliments when wearing this ring, the craftsmanship is brilliant allong with the design of the actual ring. Charlotte's Web jewellery is available from Mummy & Little Me website aswell as Charlotte's Web. The Rajput Precious Stone spinning ring is priced at £60. 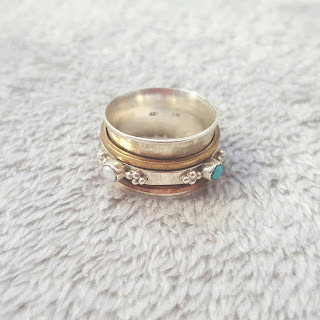 Other style rings are available. *Disclaimer: This product was sent to me for purpose of this review. All thoughts and opinions are 100% my own.